Home / New York Mets / Thor is finally mine; come to Papa, Thor. Thor is finally mine; come to Papa, Thor. 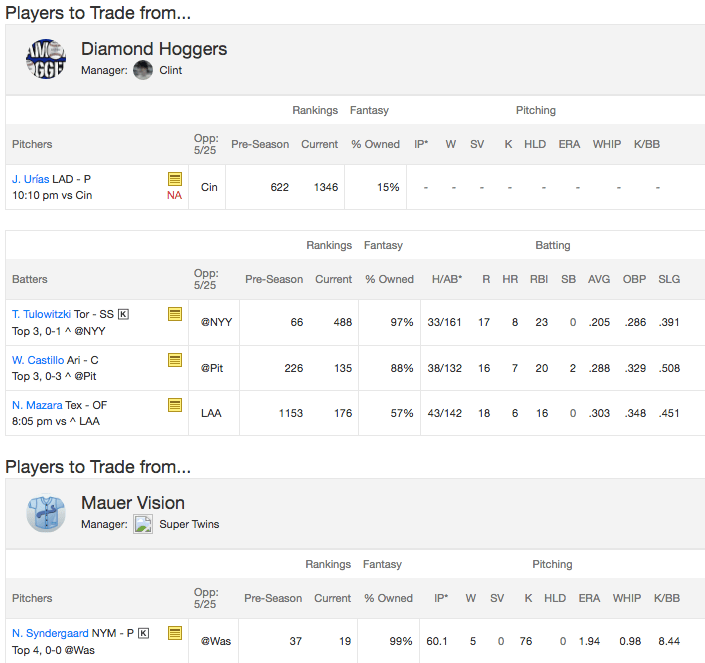 In my favorite league – the keeper league that I run – I entered the year needing to rebuild. It was time for me to finally pay the piper for so many draft pick trades, too many overpays, too many bad decisions to hold a veteran over adding a youngster off the wire, and too many floundered ideas gone bad. The first mistake I made was trying to invest in pitching at all. My failed experiments in that league over the past three years just off the top of my head: 2014 Justin Verlander, 2015 Stephen Strasburg (I waited two years on him), and then keeping Michael Pineda, drafting Zach Greinke early, keeping Marcus Stroman, drafting Jake Odorizzi, and trading for Yordano Ventura (who had failed me the previous two seasons after trading to get him). I’m likely to regret this on the Urias and Mazara front, but it was worth it to me to get some stock in Syndergaard somewhere. I’ve always felt that his ceiling was the highest of any of the four Mets pitchers, and then it came to fruition this season. Moving forward, I’ve got broken Matt Harvey, somewhat broken Justin Verlander, lotto chip Rubby De La Rosa, cinderella Rich Hill, and Syndergaard to go along with one of the few others I like and trust in Lance McCullers. That’s about as good as a pitching staff will ever be when I’m in control. 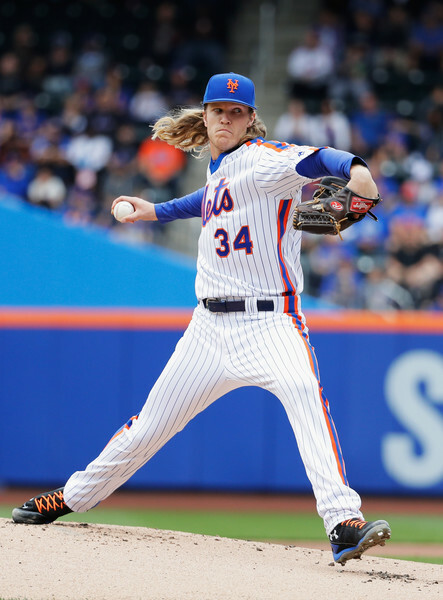 As Fangraphs said, what’s more compelling than watching Syndergaard pitch? Not much. And I wasn’t fully able to enjoy it until now because I didn’t own him anywhere. There’s talk about him being the best pitcher in baseball. I know Kershaw is not human right now, but I don’t know if I take him over Thor if given the choice. And this is how even in a losing fantasy season you can give yourself a little fun. Just go acquire the guys you like to watch and start from scratch next season with a few of those guys. That’s probably the only New Years resolution I’m still following at the moment, to make more trades this season.